The Arkansas Razorbacks are looking for a new basketball coach and Harry King points out that Mike Anderson is the favorite of the fans, but he doesn’t think it will happen. The funny thing is that Ron Crawford said yesterday on 103.7 the buzz that he thought it might work out and would be great if it did. Max Brantley in his week review (Arkansas Times Blog, for March 11th) said in the audio clip that people more scholarly than him see much of the Bible not as history but allegorical. It is that Altes said he wanted the Bible taught as history because it is the most accurate book ever written, which — if I may dare to say so in ready anticipation of hate mail — is a debatable assertion. At the very least, can we agree that you cannot behold the Bible as wholly accurate without faith? The value of the Bible in scholarly instruction is as literature, not as history. To be sure, there are some things in the Bible which will never be confirmed through archaeology. For example, archaeology has not found any evidence that Abraham lived — but, of course, that’s exactly what you would expect, since in terms of the politics of his day, Abraham was not exactly the most important historical figure. And because they don’t exist, archaeologists are obviously not going to dig up tapes and transcripts of Abraham having a conversation with Sarah, or for that matter with anyone else. All we can legitimately expect form archaeology in matters like this is to show that the events described in the Bible make sense in context. And that, of course, has been done in a very spectacular manner. I wonder if skeptics are open to looking at the facts when it comes to what archaeology has to say about the Bible’s accuracy. Hezekiah’s Siloam Tunnel Inscription. King Hezekiah of Judah ruled from 721 to 686 BC. Fearing a siege by the Assyrian king, Sennacherib, Hezekiah preserved Jerusalem’s water supply by cutting a tunnel through 1,750 feet of solid rock from the Gihon Spring to the Pool of Siloam inside the city walls (2 Kings 20; 2 Chron. 32). At the Siloam end of the tunnel, an inscription, presently in the archaeological museum at Istanbul, Turkey, celebrates this remarkable accomplishment. The tunnel is probably the only biblical site that has not changed its appearance in 2,700 years. 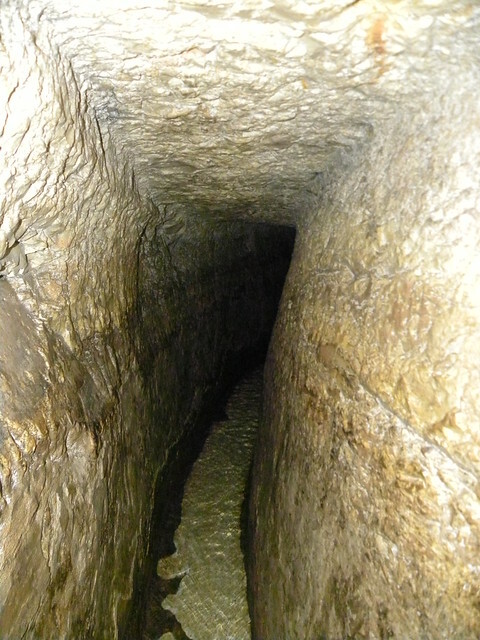 Inside “Hezekiah’s tunnel,” the 8th century water channel cut through bedrock right under the City of David. The channel brought water from the Gihon spring (on the north-eastern slope of the hill) to the Siloam pool at the southern tip of the city. King Hezekiah ordered construction of this water system to secure a water source inside the city walls in the face of the approaching Assyrian army. When the channel was finished, the entrance to the spring was covered over with rubble to prevent the Assyrians from using (or tampering with) the water.